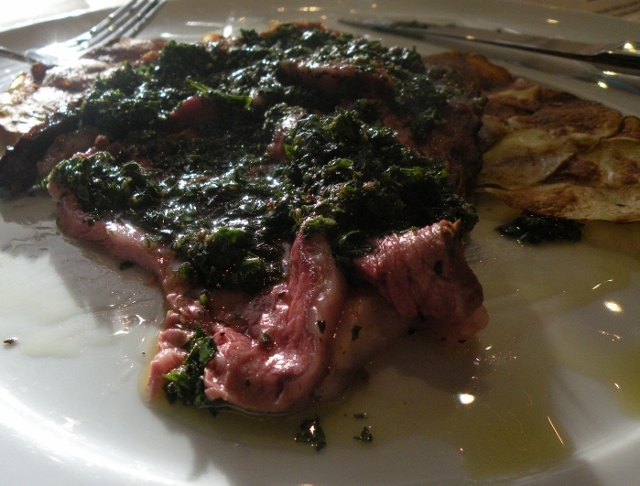 There’s a certain virility to Gaucho-style cooking despite its subtly graceful result. Popularized by Argentinian cattle rustlers, fighters and farmers, ‘Gaucho’ cooking has everything to do with the method of heating food (mostly meat and potatoes) using grills, ashes, coal and wood. Elemental, raw and primitive, it utilizes basic tools without the fussy bells and whistles of current methods and fancy-pants gadgetry. That virility lies shrewdly submerged within the convivial yet cultivated nature of world-renown Argentinian chef Francis Mallmann, 57, who graces our fair city for the Highlights Festival this week (pairing up with Europea chef Jérôme Ferrer). Expounding upon the delicacy of cooking meat at extremely low temperatures for long hours on ash or coal, he says that it “should not be hot when you serve it, otherwise it will toughen and will lose its texture”. The predominantly female presence for the press conference, held at Restaurant Europea, hung on his every word…and bite. Bequeathed with a tasting menu fit for royalty, we remained surprised and quite literally gobsmacked by the whole presentation. The first course of sweet breads (roasted for 4 hours, no less) with Meyer lemon was-for lack of a better description- Jesus on a fondue fork. Grasping the full importance of low-flame/extended time came to me in one spiritual mouthful. 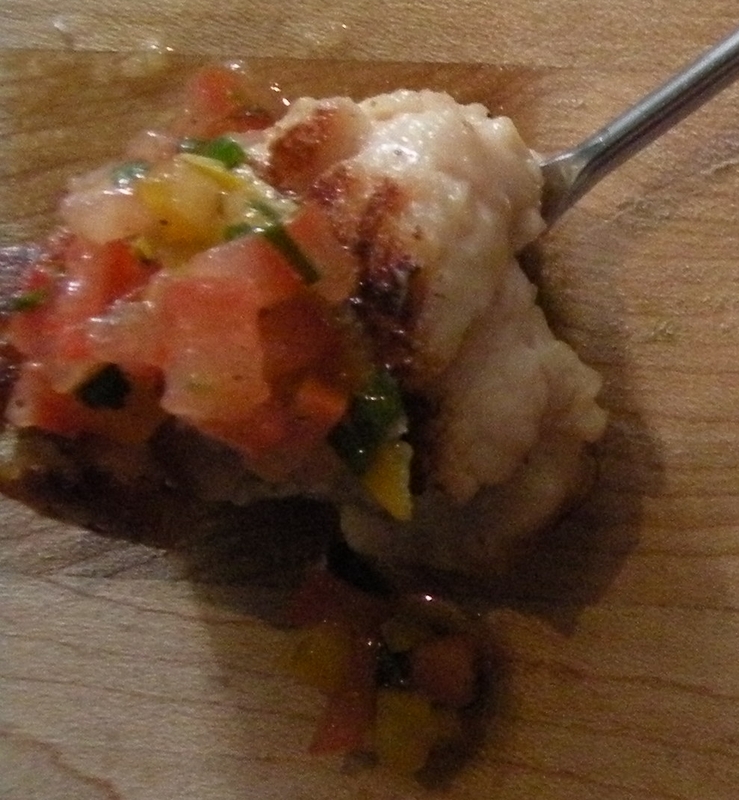 Next we sampled a bouchée of salt-crusted white fish, cooked ‘Infernillo Style’ with salsa Criolla. Well, holy Saint Lawrence (Coincidentally, did you know he was the Patron Saint of cooks? ), the skies opened up and angels descended into my mouth. Supple, tender and savoury, the fish didn’t disappear beneath the fresh, tangy sauce that had me fantasizing about brazenly storming the kitchen to demand a Mason jar of the stuff. The Chimi-Churri, (parsley, red-wine vinegar and garlic sauce) paid sacred tribute to the paper-thin Patagonia potatoes and Churrasco beef that dissolved onto the palate with heartbreaking grace. I had truly died and drifted through the pearly gates of the kingdom of gastronomy. Finally, we were offered a blissful finishing touch of dulce de leche Flan with a side of sour cream and caramelized kumquats. At this point, my carefully cultivated public conduct went right out the window, not caring how others perceived my lip-smacking, spoon-licking antics…I finished every drop of the glorious sweet offering. Too many contemporary chefs exalt the concept of simplicity in cooking, but they don’t inhabit it as scrupulously as Mallmann does. “I don’t know what a thermometer looks like. I don’t own one, nor do I want to. Knowing when food is ready is a feeling in here” he said, gripping his upper chest. The Montreal Highlights Festival is running strong in its 13th year, and is one of the largest winter festivals in the world, attracting over 900,000 tourists to Montreal. Foodies, artists and culture-hounds flock here to experience unique dining, performing arts, outdoor activities and much more. The fest also attracts the world’s top chefs and culinary experts who are introduced to Montreal’s best fine-dining establishments, and the result is pure magic. The Highlights website offers activities by budget, a section to plan your own personalized schedule and a special events section. You can pick up a free printed program at; Renaud Bray, SAQ outlets, concert venues, record outlets and select cultural centres around Montreal. What a surprise to read this, I love Chef Mallmann! Fantastic piece of writing, Ms. Hill, looking forward to more of your stuff. Been waiting for a site like this for a long time. Great work CU! !